Phil Mickelson had to wait six months to complete the final round of his first Pebble Beach win. So sleeping on a three-shot overnight lead with just two holes left for a record-tying fifth AT&T Pebble Beach Pro-Am title should be a breeze. Mickelson battled all the elements during a whimsical weather day that turned downright arctic. A pair of weather delays pushed Mickelson’s tee time past 1 p.m. — ensuring a Monday finish — but Lefty methodically chased down third-round leader Paul Casey with a bogey-free 6-under effort over 16 holes. Mickelson caught Casey with back-to-back birdies on the tournament’s two toughest holes — Nos. 9 and 10 — and took sole possession on No. 11 after Casey caught a flier and made his first bogey in 23 holes. Mickelson then stepped on the gas with back-to-back birdies at Nos. 13 and 14. The first of Mickelson’s four wins at Pebble Beach came under bizarre circumstances. A rain-ravaged first two rounds forced the field to return six months later. (The PGA TOUR now has a rule that the event must be completed by Tuesday.) Mickelson overcame a one-stroke deficit with a closing 67 at Pebble Beach, sinking a birdie on No. 18 to win by one. Those heroics shouldn’t be neccessary this time around. 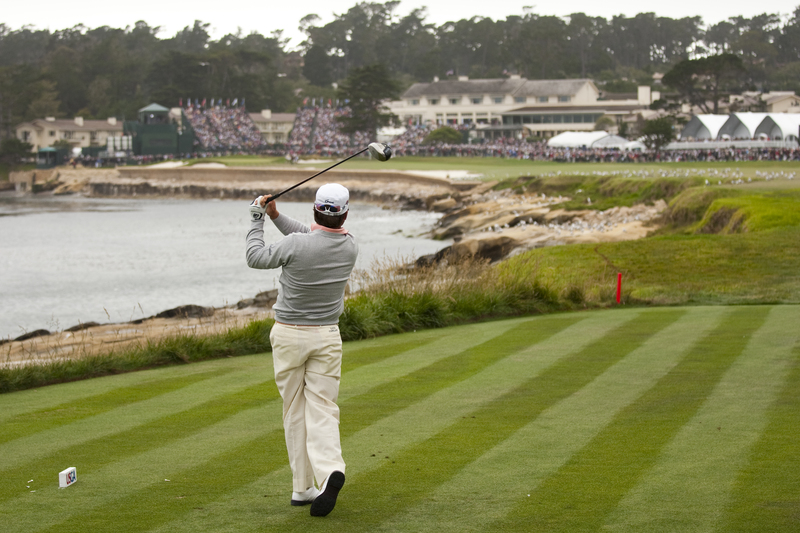 Here’s a better way to start your week: watch some free golf at Pebble Beach! Parking and admission are free. So is entry to 17-Mile Drive. Stop by Pebble Beach and see what will unfold in the final two holes of the 2019 AT&T Pebble Beach Pro-Am! 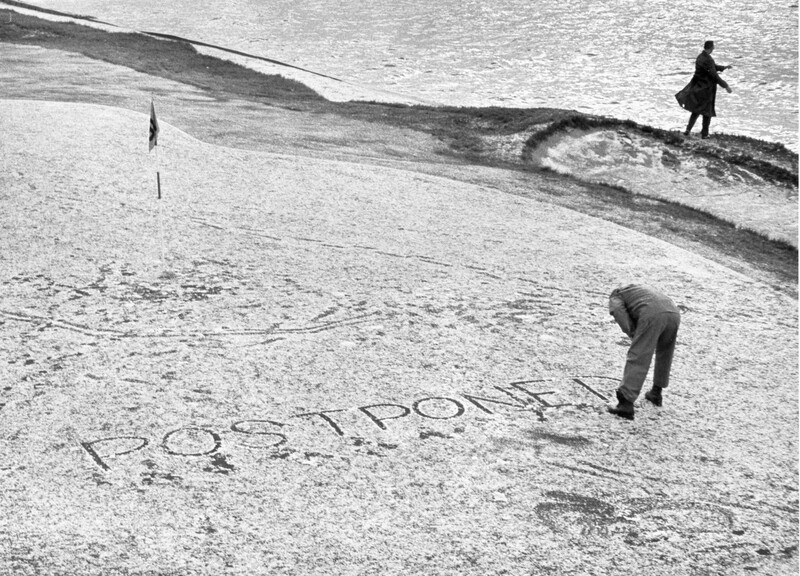 Jimmy Demaret, who won in the tournament in 1952, quipped: “I know I got loaded last night, but how the hell did I end up in Squaw Valley?” Arnold Palmer was also caught on camera hurling snowballs. HOW IMPORTANT IS WINNING AT PEBBLE BEACH DURING A U.S. OPEN YEAR? Jack Nicklaus (1972) and Tiger Woods (2000) both completed the double plays. A quick scan of previous AT&T leaderboards foreshadows success. In 1982, Jack Nicklaus tied for third with Tom Watson one shot further back. They, of course, were the two lead characters for the U.S. Open four months later, with Watson chipping in on No. 17 to leapfrog Nicklaus. In 1992, U.S. Open winner Tom Kite missed the AT&T cut, but Jeff Sluman finished second in both events. And in 2010, Dustin Johnson won his second straight AT&T. He then took a three-stroke lead into the final round of the U.S. Open before infamously closing with an 11-over 82. So what does playing well at a wet, windy and hail-interrupted AT&T week mean about a tournament that will be set up to have the firmest and fastest conditions possible four months from now? Well, each year, a top contender has been in position to win both. So it probably means something.